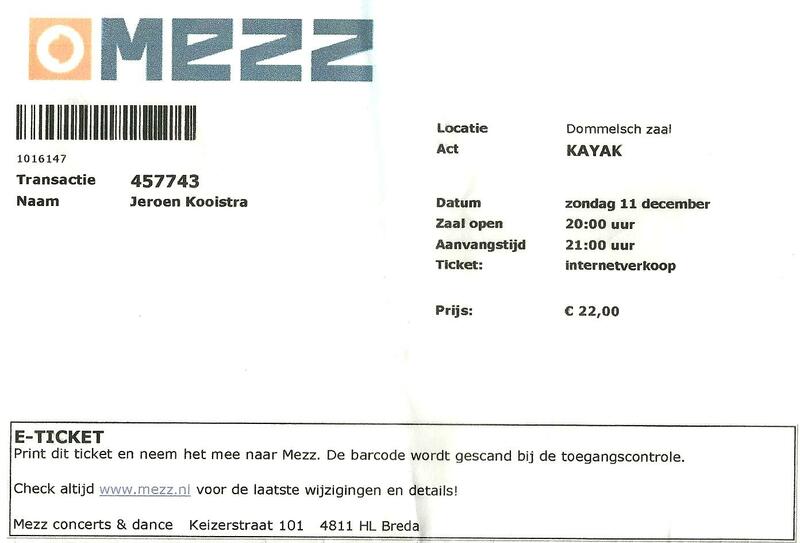 On sunday 11 december, the Mezz in Breda saw the last concert of the Anywhere But Here Tour. A tour that was very pleasant for both band and fans. Let me just say that it was just another great concert, and that it was good to meet so many old friends in the audience! Luckily, it was announced that Kayak will embark on a theatre-tour after the summer of 2012. And to make it even better, they have added a couple of gigs in early 2012. Looking forward to that!! !